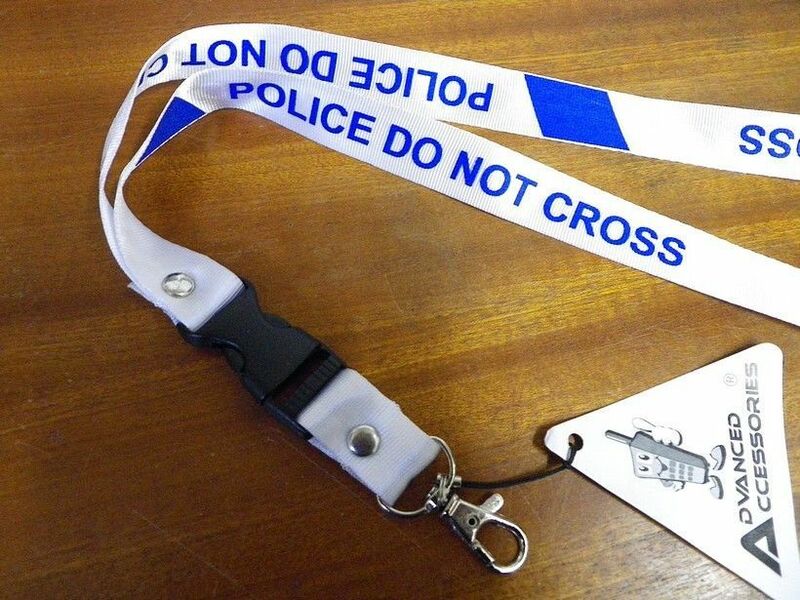 the bottom of strap has a clip so that items can be attached or removed while strap remains around your neck this neck strap has the wording "police do not cross" printed on it and is in white and blue this neck strap is suitable for all makes and models of mobile phones. 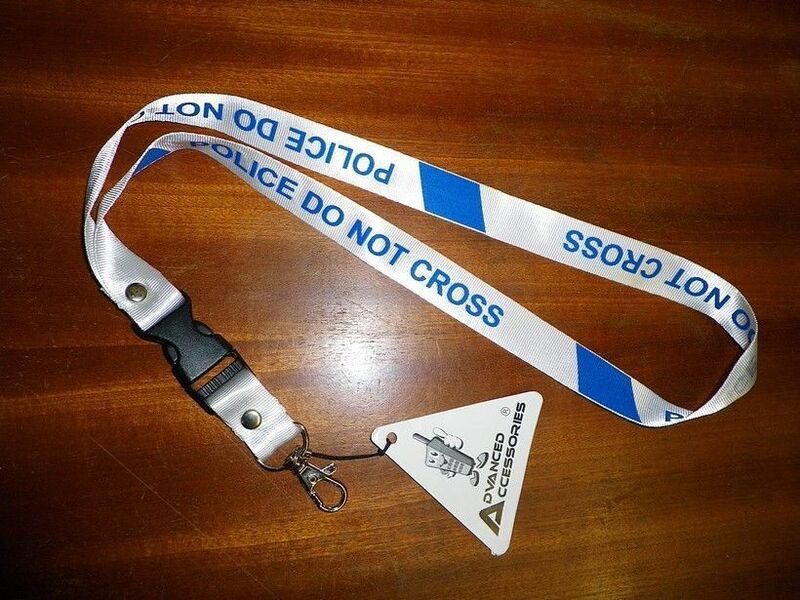 for all the wannabe detectives or if your a member of the police then this is the neck strap for you. will make a great gift for work,friends,family or staff. 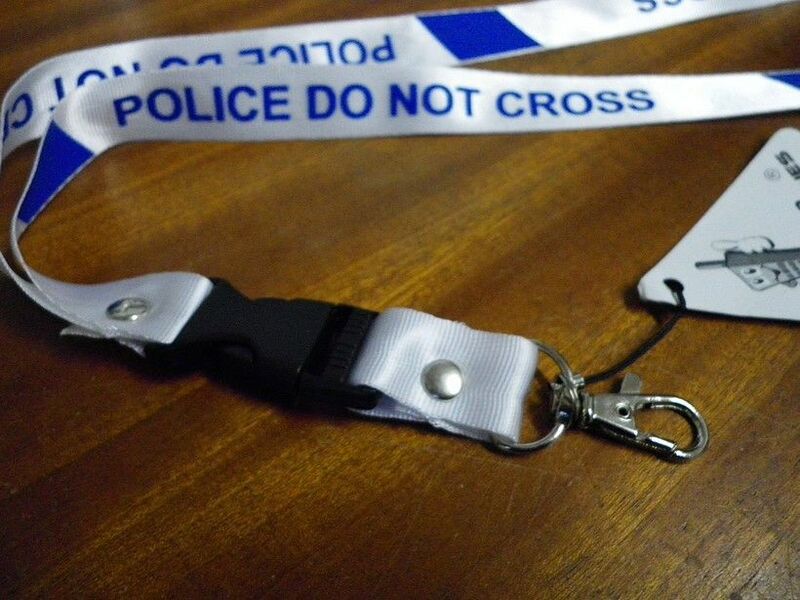 Measures 47 cm long, 2 cm wide.